We often take the landscape around us for granted. We might appreciate a view for its beauty, but not think to consider the natural and historical processes, or the everyday work and care that goes into managing and sustaining it. Working The View explores this relationship between the landscape of the Yorkshire Dales National Park and its guardians; bringing to light the work that goes on to protect, enhance and make a living from it. This book is the result of a brother and sister collaboration between photographer Mark and writer Sarah. It features 40 participants who have shared the stories behind their favourite views. Each person was asked to suggest three viewpoints which have specific meaning for them. From these, a broad spread of locations was selected from throughout the National Park and its potential extension to the north and west. Mark spent a year and a half photographing these views, often returning to the same areas again and again to ensure each view was captured in the best season and light conditions available. Sarah interviewed each participant to discover the reasons behind their choice and learn about the work they do in the landscape. Each interview was recorded and then written up into a coherent ‘piece’, using the words of the participants. As a result each interview reads as if spoken and retains the ‘voice’ of the participant. 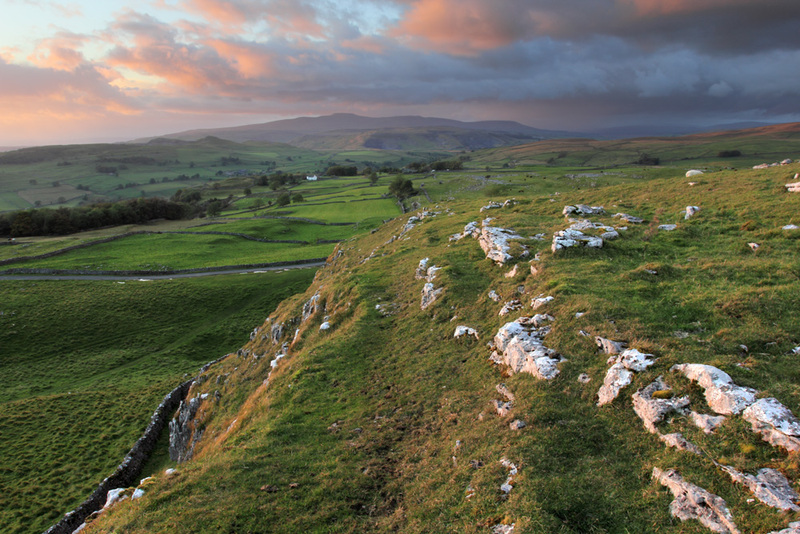 We could never hope to showcase every voice and every role in the National Park, but we have brought together a range of individuals; from farmers and landowners, to people employed by organisations working to protect the landscape. The result is a unique tour of the National Park area, given by the people who make the landscape what it is today and who are working to ensure it is protected into the future. Working the View was supported by the National Lottery through Arts Council England. This entry was posted in Introduction by Yorkshire Dales Photography. Bookmark the permalink.